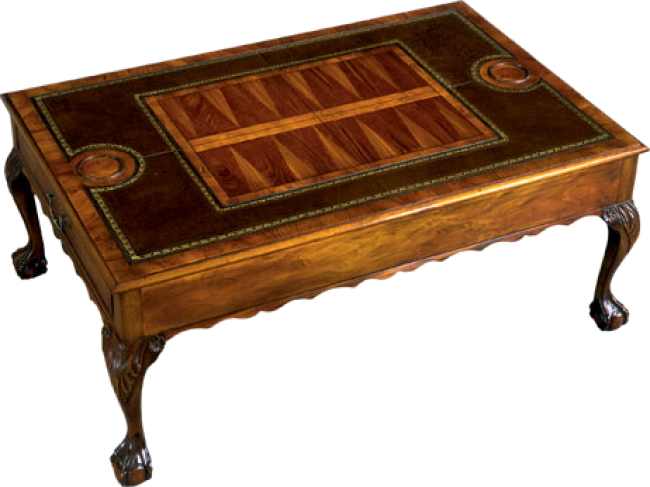 Coffee/Game table with inlaid backgammon board and leather surface top. Cabriole legs terminating in hand carved ball and claw feet. Optional drawer available. Pictured in Yewwood.